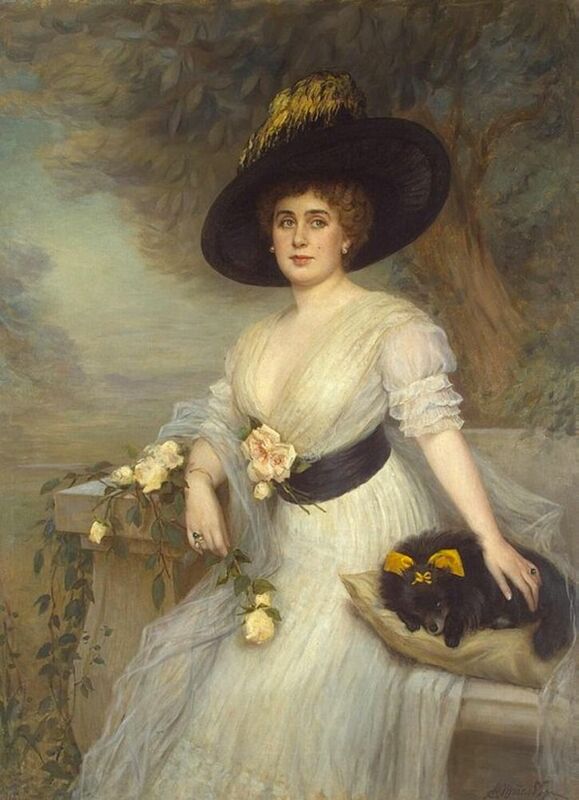 Daria de Beauharnais, Countess of Leuchtenburg was born on 19 March 1870 in St. Petersburg, Russia. She was the daughter of Eugene von Leuchtenberg and Daria Opotchinina. She married, firstly, Prince Leon Kotchoubey on 7 September 1893. She and Prince Leon Kotchoubey were divorced in 1911. She married, secondly, Waldemar Baron von Gravenitz on 22 February 1911 in St. Petersburg, Russia. She was married two more times and was killed by the Soviet NKVD in 1937 after being arrested in the years of the Great Terror and was apparently shot. Most likely she died in Leningrad, USSR (formerly known at the time of her birth as St. Petersburg, Russia).